Stories from Trailblazing Women Lawyers: Lives in the Law is an important edition to the history of professional women. If we are going to defeat discrimination in the work place, it is imperative that we understand the personal and organizational practices used to carry it out. It is also essential that we know and honor the ambition and achievements of the women lawyers whose oral histories are the basis of this book. 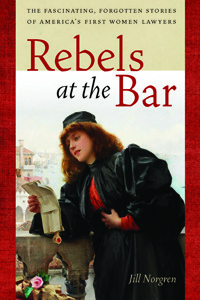 In Rebels at the Bar (New York University Press), I recount the life stories of a small group of nineteenth century women who were among the first female attorneys in the United States. Beginning in the late 1860s, these determined rebels pursued the radical ambition of entering the then all-male profession of law. They were motivated by a love of learning. They believed in fair play and equal opportunity. They desired recognition as professionals and the ability to earn a good living. Through a biographical approach, I present the common struggles of eight women first to train and to qualify as attorneys, then to practice their hard-won professional privilege. Their story is one of nerve, frustration, and courage. This first generation practiced civil and criminal law, solo and in partnership. The women wrote extensively and lobbied on the major issues of the day, but the professional opportunities open to them had limits. They never had the opportunity to wear the black robes of a judge. They were refused entry into the lucrative practices of corporate and railroad law. Although male lawyers filled legislatures and positions in foreign embassies, presidents refused to appoint these early women lawyers to diplomatic offices and the public refused to elect them to legislatures. Rebels at the Bar expands our understanding of both women’s rights and the history of the legal profession in the nineteenth century. It focuses on the female renegades who trained in law and then, like men, fought considerable odds to create successful professional lives. Click here to listen to the podcast of Jill Norgren discussing Rebels at the Bar with an interviewer from the American Bar Association. In Belva Lockwood: The Woman Who Would Be President (New York University Press), I recount, for the first time, the life story of one of the nineteenth century’s most surprising and accomplished advocates for women’s rights. I show how Lockwood was fearless in confronting the male establishment, commanding the attention of presidents, members of Congress, influential writers, and everyday Americans. Obscured for too long in the historical shadow of her longtime colleague, Susan B. Anthony, Lockwood steps into the limelight at last in this biography. Born on a farm in upstate New York in 1830, Lockwood married young and reluctantly became a farmer’s wife. After her husband's premature death, however, she earned a college degree, became a teacher, and moved to Washington, DC with plans to become an attorney-an occupation all but closed to women. Not only did she become one of the first female attorneys in the U.S., but in 1879 became the first woman ever allowed to practice at the bar of the Supreme Court. 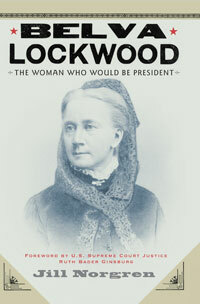 In 1884 Lockwood continued her trailblazing ways as the first woman to run a full campaign for the U.S. Presidency. She ran for President again in 1888. Although her candidacies were unsuccessful (as she knew they would be), Lockwood demonstrated that women could compete with men in the political arena. After these campaigns she worked tirelessly on behalf of the Universal Peace Union, hoping, until her death in 1917, that she, or the organization, would win the Nobel Peace Prize. Belva Lockwood deserves to be far better known. It is likely that Lockwood would be widely recognized today as a feminist pioneer if most of her personal papers had not been destroyed after her death. In this biography I hope to ensure Lockwood’s rightful place in history in a book others have cited for being meticulously researched and beautifully written. In 2008 the American Library Association named Belva Lockwood to its 2007 "Best of the Best" university press books. It has been widely praised in reviews. Choice called it "highly recommended." Law and History Review cited the biography as a "must" for all those interested in U.S. women's history or the nineteenth-century practice of law." Ms. Magazine pointed to its presentation of a "fearless advocate for women's rights." In the New Republic Christine Stansell wrote "Norgren has the great discernment to see Lockwood's life as large and anticipatory rather than eccentric and half-realized....[Norgren is] a legal historian of considerable skill." The New York Sun observed that "Norgren...shows how Lockwood loved the law...in eloquent detail." Journalist/biographer Joan Biskupic describes the book as beautifully weaving the personal and political ordeals of Belva Lockwood's life, while biographer and historian Blanche Wiesen Cook says simply, "a splendid biography." Some biographical figures are easier to write about than others. Attorney Belva Lockwood (1830-1917) proved to be one of the difficult ones. Although she was a well-known advocate for the equal rights of women, following her death, most of her letters, personal journals, and law office logbooks were destroyed. She had outlived her husband and daughters. Her remaining family did not understand her importance and did not save her papers. In order to write her story, I had to become a detective. I was convinved that Lockwood, as the first woman to practice before the U.S. Supreme Court and the first woman to run a full campaign for the presidency, must have left some footprints. And I was correct. 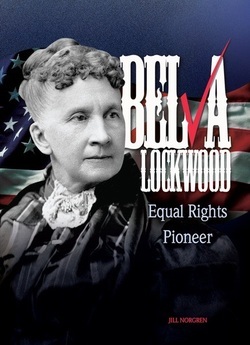 This book was honored with recognition from the American Library Association which placed Belva Lockwood: Equal Right Pioneer on its 2009 Amelia Bloomer list. 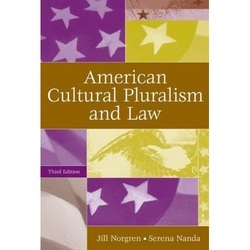 The third edition of legal historian Jill Norgren and anthropologist Serena Nanda's book again updates our examination of the intersection of American cultural pluralism and law. We document and analyze legal challenges to the existing social order raised by many cultural groups, among them, Native Americans and Native Hawaiians, homeless persons, immigrants, disabled persons, and Rastafarians. In addition, we examine such current controversies as the culture wars in American schools and the impact of post-9/11 security measures on Arab and Muslim individuals and communities. The book also discusses more traditional challenges to the American legal system by women, homosexuals, African Americans, Latinos, Japanese Americans, and the Mormons and the Amish. The new chapters and updated analyses in this Third Edition reflect recent, relevant court cases dealing with culture, race, gender, religion, and personal status. Drawing on court materials, state and federal legislation, and legal ethnographies, the text analyzes the ongoing tension between, on the one hand, the need of different groups for cultural autonomy and equal rights, and on the other, the necessity of national unity and security. The text integrates our commentary with case descriptions set in historical, cultural, political, and economic context. While our thesis is that law is an instrument of social policy that has generally furthered an assimilationist agenda in American society, we also point out how in different periods, under different circumstances, and with regard to different groups, law has also some opportunity for cultural autonomy. The second edition of our classic text brings new and updated examination of American cultural pluralism and the law through the Clinton administration. While maintaining our emphasis on the concept of cultural diversity as it relates to the law in the United States, revised and new chapters reflect recent relevant court cases bearing on culture, race, gender, and class, with particular attention paid to local and state court opinions. Drawing on court materials, statutes and codes, and legal ethnographies, the text analyzes the ongoing negotiations and accommodations via the mechanism of law between culturally different groups and the larger society. 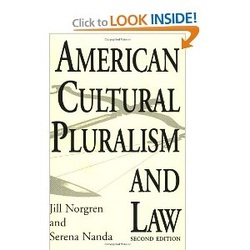 An important text for courses in American government, society and the law, cultural studies, and civil rights. This compact history is the first to explore two landmark U.S. Supreme Court cases of the early 1830s: Cherokee Nation v. Georgia and Worcester v. Georgia. I detail the extraordinary story behind these cases, describing how John Ross and other leaders of the Cherokee Nation, having internalized the principles of American law, tested their sovereignty rights before Chief Justice John Marshall in the highest court of the land. The Cherokees’ goal was to solidify these rights and to challenge the aggressive actions that the government and people of Georgia carried out against them under the aegis of law. 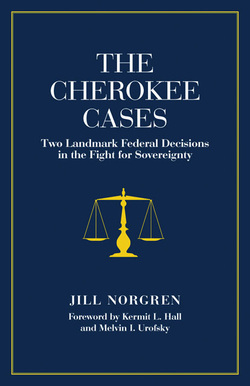 Written in a style accessible both to students and to general readers, The Cherokee Cases is an ideal guide to understanding the political development of the Cherokee Nation in the early nineteenth century and the tragic outcome of these cases so critical to the establishment of U.S. federal Indian law. This book was first published by Mc-Graw Hill under the title The Cherokee Cases: The Confrontation of Law and Politics. Articles used as portions of the book won the 1993 American Society for Legal History Erwin C. Surrency Prize; and the 1995 U.S. Supreme Court Historical Society's Hughes-Gossett Award. Should the law be praised or cursed for what it has done to the American Indian? Using American legal history, politics, and jurisprudence this study considers the degree to which American courts have maintained their autonomy and withstood political pressure, when the sovereignty and property rights of Native American tribes were at issue. This study explores the development of legal doctrine affecting Native American tribes by courts and commissions in the United States beginning with seminal court cases of the early nineteenth century and continuing through the 1980s. 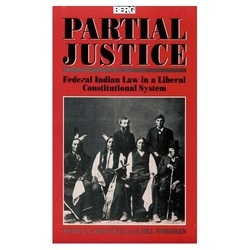 Whether the law ever was a better way for Native Americans is a question of fundamental importance not only with regard to the rights-or even the survival-of American Indian tribes but also with respect to the claim of the American legal system to be equally fair and just to all groups in society regardless of their economic and political power.